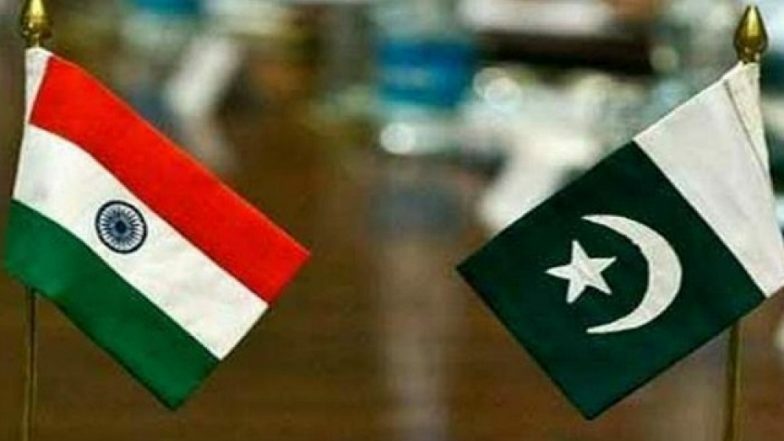 New Delhi, March 22: India will not send any official representative at the Pakistan National Day (PND) reception that will take place on March 22, Friday at the Pakistan High Commission in New Delhi. This comes after the Pakistan Mission invited Hurriyat leaders for the event. While, the Pakistani National Day is celebrated on March 23 every year, its high commission is celebrating it a day earlier. Earlier, in the last five years, the National Democratic Alliance (NDA) government had objected Pakistan Mission engaging with Hurriyat leaders, but it did not boycott the reception, although Hurriyat leaders were always invited. However, the development comes in the backdrop of Pulwama terrorist attack on February 14, which killed 40 Central Reserve Police Force (CRPF) jawans. India Issues Note Verbale to Pakistan Foreign Ministry Over Harassment of Indian Diplomats. As a part of the diplomatic tradition, earlier, India had sent Former minister of state in the ministry of external affairs MJ Akbar, minister of state in agriculture ministry Gajendra Singh Shekhawat and Minister of state in the ministry of external affairs Gen VK Singh as its official representative to the national day. The Pakistan National Day is celebrated on March 23 every year to mark the Lahore Resolution (LR), also known as Pakistan Resolution. On this day, the Muslim League passed the LR for the formation of Pakistan. On March 23, 1956, Pakistan also adopted its first constitution. This year Malaysian Premier Doctor Mahathir Mohamad will be the chief guest of Pakistan Day Parade in Islamabad.